MISSION: New Song Network’s Mission is to bring people closer to God through accessible, vibrant and relevant worship; to show God’s love within our church family and to people in our community and world; to share our faith; and support people as they learn and grow as lifelong disciples of Jesus. New Song Network Church is committed to providing a quality worship experience where people can meet with God, learn more about Him, and encounter His love. Bible Studies on 1st Wednesday of the month at Station Coffee, Latchford WA4 1JW; House Groups; Community Action Team; Hot Drinks Ministry; social events. New Song Network Church is a developing community based in Warrington, committed to exploring and living out the gospel message of Jesus. We believe something wonderful is happening within this new community – God is moving, lives are being transformed, people are joining us. This fills us with a great sense of anticipation and excitement for the future and what God has in store for us. 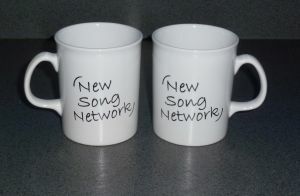 New Song Network Church encourages people to think creatively about worship and mission. Discipleship is a time of learning about and discussing our faith. New Song Breakfast is for all ages based on themes which provide particular relevance to how we live our everyday life. New Song Cafe is all age based on contemporary music, learning new songs but also enabling and supporting people to be a witness for Christ in all they do. For those not able to attend the songs to be sung each month are listed on our YouTube channel and Twitter and Facebook are used during the evening to keep people in touch with the service. There is an opportunity to make an offering at New Song Breakfast and New Song Cafe and this can be Gift Aided. There is step-less access into Latchford Methodist Church hall. At Bold Street Methodist Church, step-less access is available using the rear entrance from Bold Street. There is a lift for events on floors 1 and 2. There are 2 steps into Station Coffee. New Song Warrington band: Praise is rising!